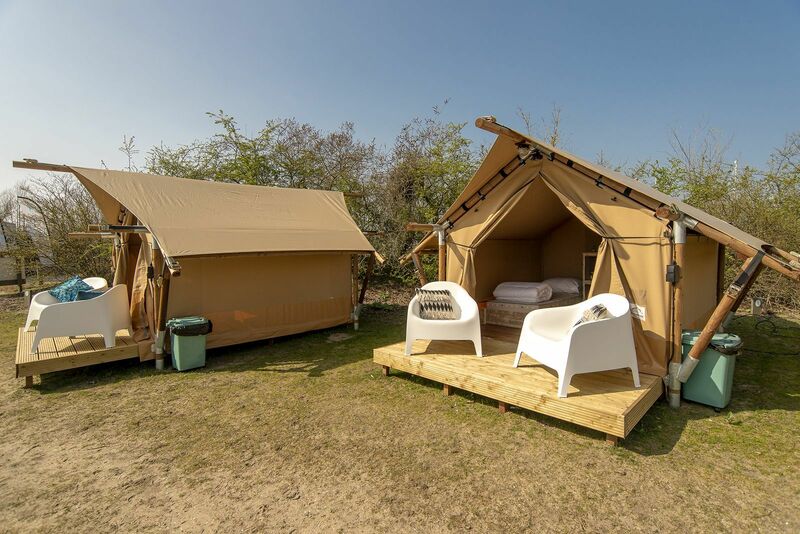 This sturdy safari tent offers an adventurous stay for 2 people. They are equipped with a mini fridge. 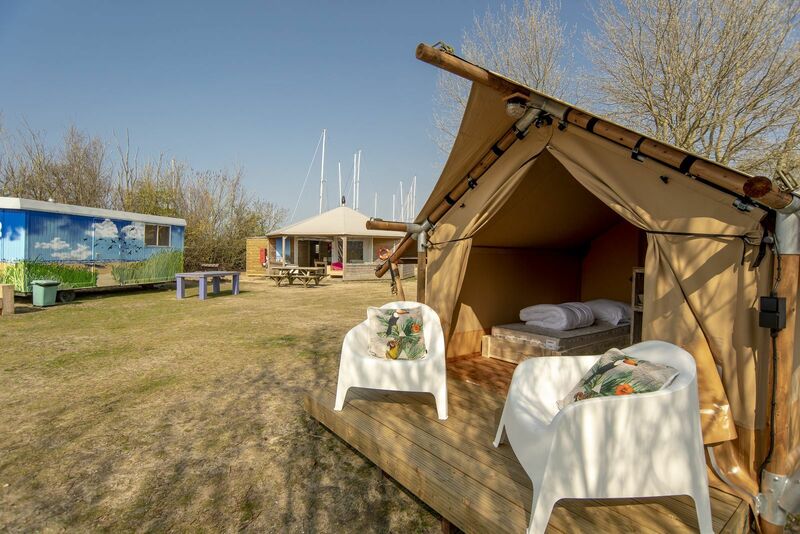 There are 2 chairs on a sturdy wooden deck with a terrace. 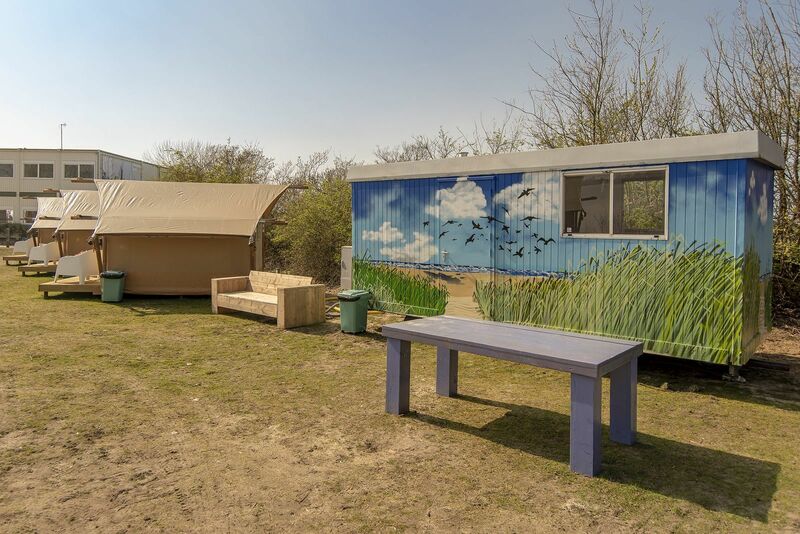 A shared kitchen unit is present. 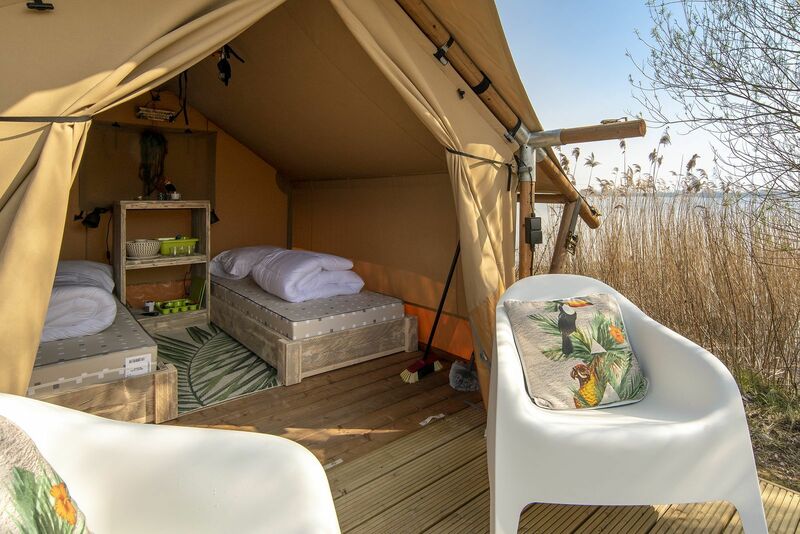 This stay will appeal to anyone who is looking for something special! 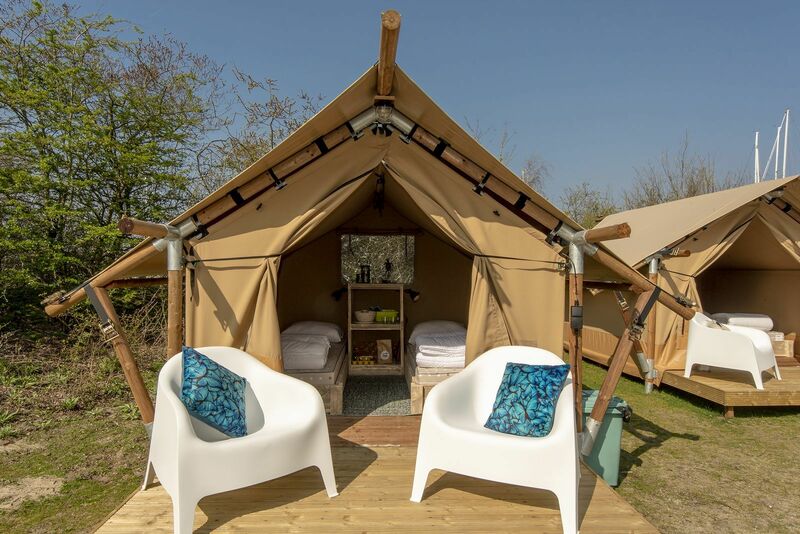 What does the safari tent have to offer? 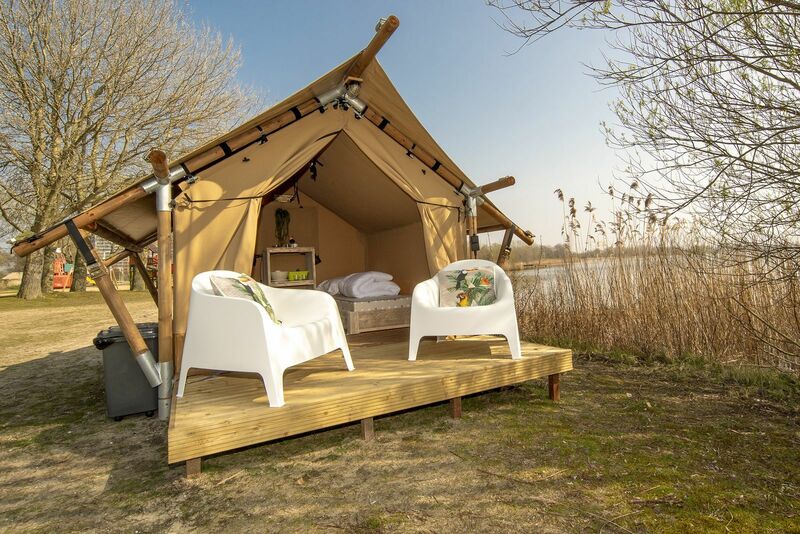 Enjoy the relaxing feeling of camping in this beautiful safari tent. 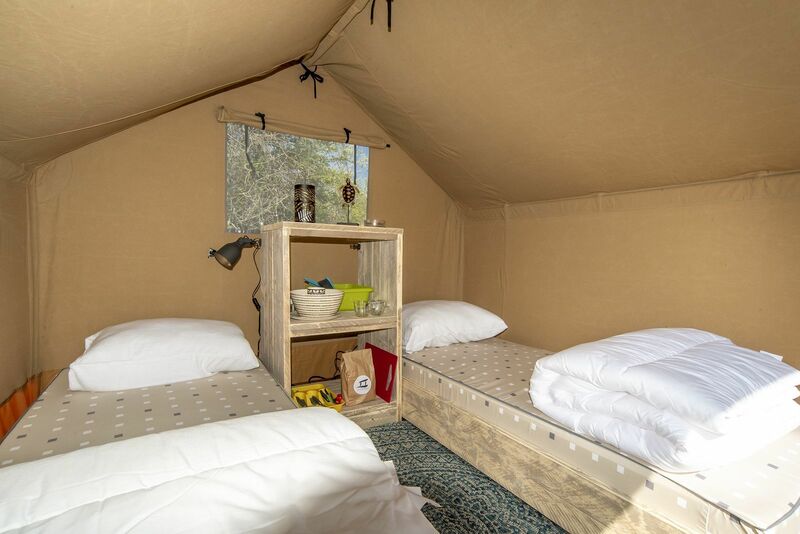 The safari tent has a tough and sturdy look and offers a unique camping experience. 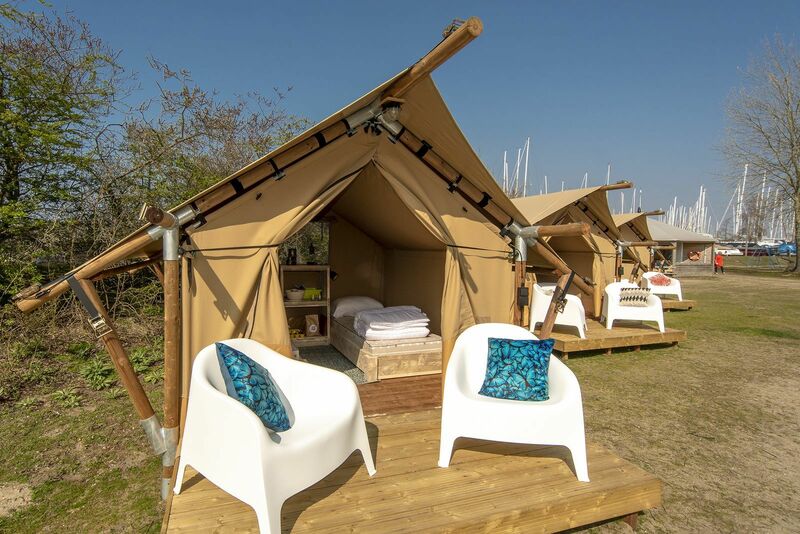 The safari tent has a sleeping area with 2 single beds. 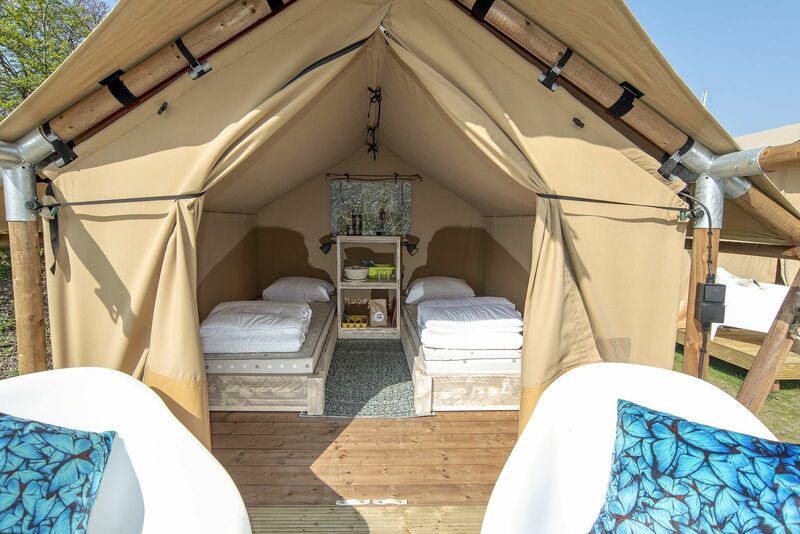 The beds have a pillow and a 1-person duvet. 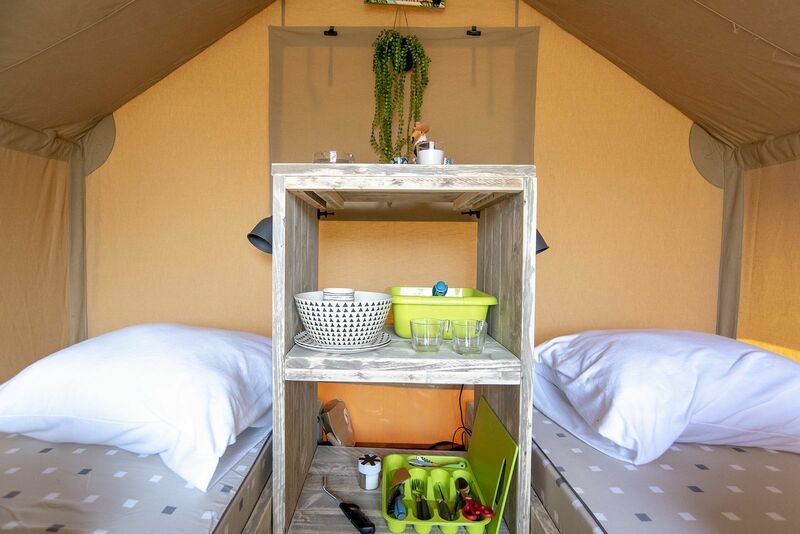 There is also sufficient living space within. The safari lodge includes a small fridge. 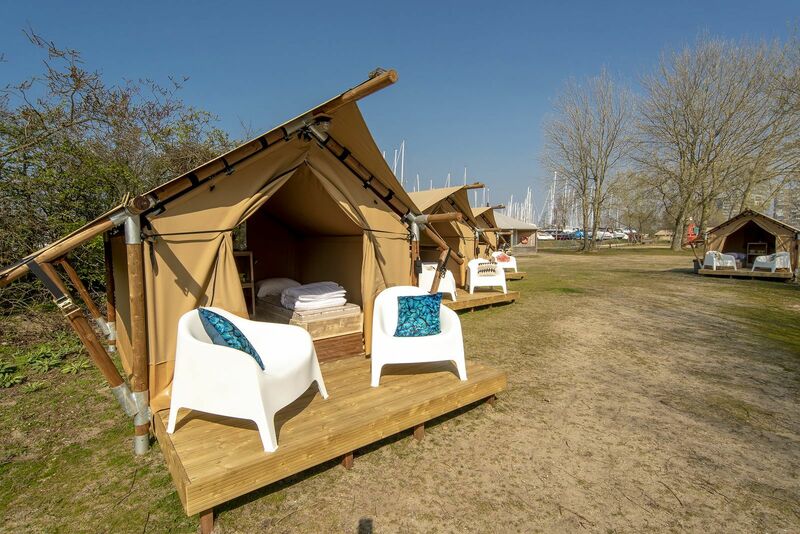 There is no bathroom in the tent itself, however you can use the sanitary building in the marina. 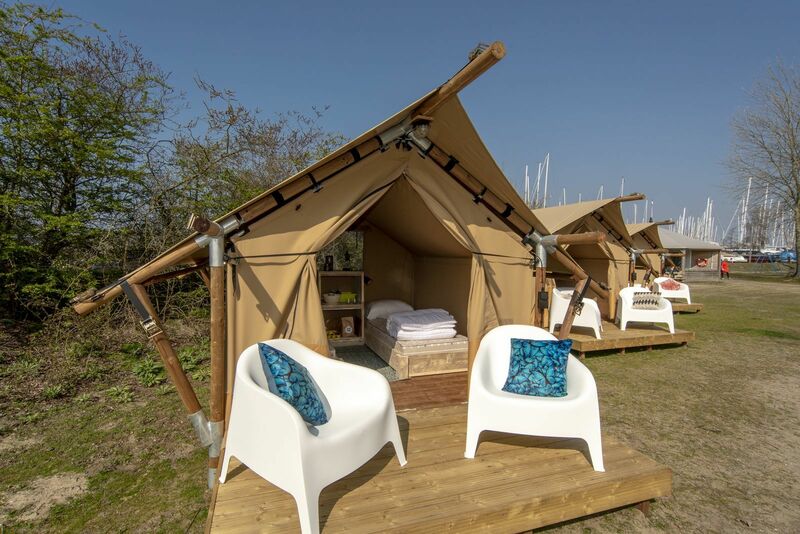 The safari tent is the perfect base for a relaxing and adventurous stay on the beach of Almere. 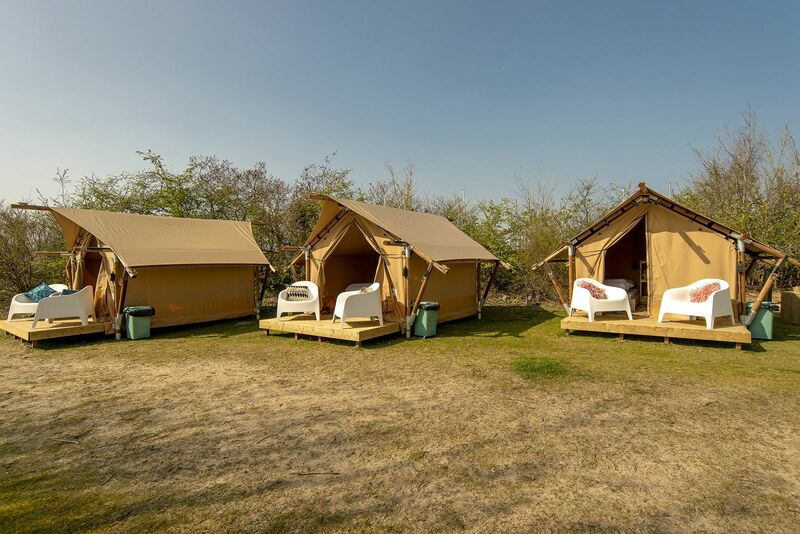 Marinaparcs has 4 safari tents for rent. 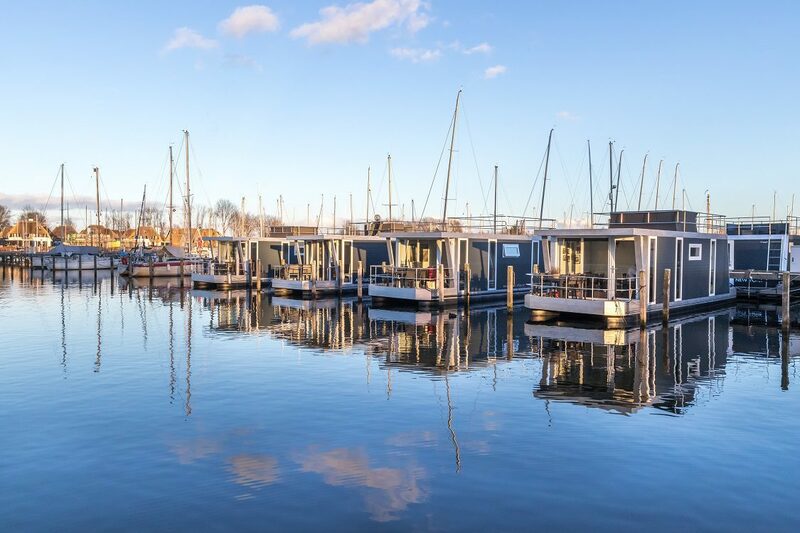 These are placed on a field in the Muiderzand Marina in Almere.